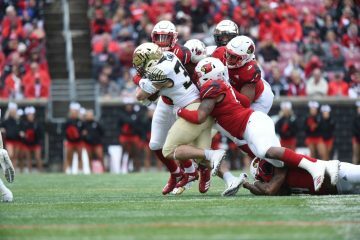 The Oklahoma Sports Hall of Fame announced that University of Louisville junior safety Gerod Holliman was announced as one of three finalists for the 2014 Jim Thorpe Award, given to the top defensive back in college football. Holliman joins Landon Collins of Alabama and Ifo Ekpre-Olomu of Oregon as the finalists for one of the most prestigious college football awards in the country. A native of Miami, Fla., Holliman leads the Football Bowl Subdivision with a school record 13 interceptions this year. He is tied with former N.C. State cornerback David Amerson for the ACC single-season record set in 2011 and is currently one pick away from tying Al Worley’s (Washington) NCAA record of 14 set in 1968. A finalist for the Bronko Nagurski Award, Holliman is one of the main reasons why the Cardinals lead the nation in interceptions and rank in the top 10 in both pass efficiency defense (105.4 rating) and total defense (290.2 ypg). The Thorpe Award is named after history’s greatest athlete, Jim Thorpe, and is presented by the Oklahoma Sports Hall of Fame in Oklahoma City. Thorpe excelled at every sport in which he competed, including football where he played on the offensive and defensive side of the ball. This year’s Jim Thorpe Award winner will be revealed on ESPN during The Home Depot College Football Awards airing live from the Atlantic Dance Hall at Disney’s BoardWalk at the Walt Disney World Resort on Thursday, Dec. 11 at 6:00 p.m. (CT). 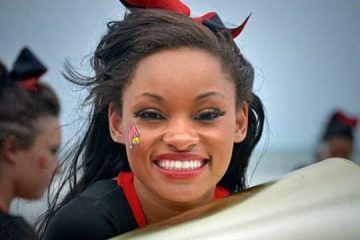 Next ArticleLouisville #22 in College Football Playoff Poll.